21. Gong, Y.; Chen, G.; Peng, Q.; Yuan, W. Z*. ; Xie, Y.; Li, S.; Zhang, Y*. ; Tang, B. Z*. “Achieving Persistent Room Temperature Phosphorescence and Remarkable Mechanochromism from Pure Organic Luminogens” Adv. Mater. 2015, 27, 6195. 20. 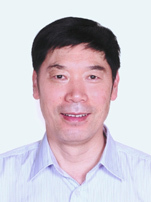 Chen, G.; Li, W.; Zhou, T.; Peng, Q.; Zhai, D.; Li, H.; Yuan, W. Z*. ; Zhang, Y*. ; Tang, B. Z*. “Conjugation-Induced Rigidity in Twisting Molecules: Filling the Gap between Aggregation-Caused Quenching and Aggregation-Induced Emission” Adv. Mater. 2015, 27, 4496. 19. Gong, Y.; Zhao, L.; Peng, Q.; Fan, D.; Yuan, W. Z*. ; Zhang, Y*. ; Tang, B. Z. “Crystallization-Induced Dual Emission from Metal- and Heavy Atom-Free Aromatic Acids and Esters” Chem. Sci. 2015, 6, 4438. 18. Lin, Y.; Chen, G.; Zhao, L.; Yuan, W. Z*. ; Zhang, Y*. ; Tang, B. Z*. “Diethylamino Functionalized Tetraphenylethenes: Structural and Electronic Modulation of Photophysical Properties, Implication for CIE Mechanism and Application to Cell Imaging” J. Mater. Chem. C 2015, 3, 112. 17. Zhang, Y.; Chen, G.; Lin, Y.; Zhao, L.; Yuan, W. Z*. ; Lu, P.; Jim, C. K. W.; Zhang, Y*. ; Tang, B. Z*. “Thiol-Bromo Click Polymerization for Multifunctional Polymers: Synthesis, Light Refraction, Aggregation-Induced Emission and Explosive Detection” Polym. Chem. 2015, 6, 97. 16. Gong, Y.; Liu, J.; Zhang, Y.; He, G.; Lu, Y.; Fan, W. B.; Yuan, W. Z*. ; Sun, J. Z.; Zhang, Y*. “AIE-Active, Highly thermally and Morphologically Stable, Mechanochromic and Efficient Solid E mitters for Low Color Temperature OLEDs” J. Mater. Chem. C 2014, 2, 7552. 15. Wang, C.; Gao, H.; Li, H.; Zhang, Y.; Huang, B.; Zhao, J.; Zhu, Y.; Yuan, W. Z*. ; Zhang, Y*. “Graphene Nanoribbons Hybridized Carbon Nanofibers: Remarkably Enhanced Graphitization and Conductivity, and Excellent Performance as Support Material for Fuel Cell Catalysts” Nanoscale 2014, 6, 1377. 14. Yuan, W. Z.; Tan, Y.; Gong, Y.; Lu, P.; Lam, J. W. Y.; Shen, X. Y.; Feng, C.; Sung, H. H-Y. ; Lu, Y.; Williams, I. D.; Sun, J. Z.; Zhang Y*. ; Tang, B. Z*. “Synergy between Twisted Conformation and Effective Intermolecular Interactions: Strategy for Efficient Mechanochromic Luminogens with High Contrast” Adv. Mater. 2013, 25, 2837. 13. Gong, Y.; Tan, Y.; Liu, J.; Lu, P.; Feng, C.; Yuan, W. Z*. ; Lu, Y.; Sun, J. Z.; He, G*. ; Zhang, Y*. “Twisted D–pi–A Solid Emitters: Efficient Emission and High Contrast Mechanochromism” Chem. Commun. 2013, 49, 4009. 12. Wang, C.; Li, H.; Zhao, J.; Zhu, Y.; Yuan, W. Z*. ; Zhang, Y*. “Graphene Nanoribbons as A Novel Support Material for High Performance Fuel Cell Electrocatalysts” Int. J. Hydrogen Energy 2013, 38, 13230. 11. Zhu, Y.; Pei, S.; Tang, J.; Li, H.; Wang, L.; Yuan, W. Z*. ; Zhang, Y*. “Enhanced Chemical Durability of Perfluorosulfonic Acid Membranes through Incorporation of Terephthalic Acid as Radical Scavenger” J. Membrane Sci. 2013, 432, 66. 10. Yang, L.; Li, H.; Ai, F.; Chen, X.; Tang, J.; Zhu, Y.; Wang, C.; Yuan, W. Z*. ; Zhang, Y*. “A New Method to Prepare High Performance Perfluorinated Sulfonicacid Ionomer/Porous Expanded Polytetrafluoroethylene Composite Membranes Based on Perfluorinated Sulfonyl Fluoride Polymer Solution” J. Power Sources 2013, 243, 392. 9. Tang, J.; Yuan, W.; Wang, J.; Tang, J.; Li, H*. ; Zhang, Y*. “Perfluorosulfonate Ionomer Membranes with Improved Through-Plane Proton Conductivity Fabricated under Magnetic Field” J. Membrane Sci. 2012, 423–424, 267. 8. Qin, S.; Li, H*. ; Yuan, W. Z.; Zhang, Y*. “Fluorine-Containing Block Copolymer Particles with Surface and Internal Hierarchical Microphase Separation Structures” Soft Matter 2012, 8, 2471. 7. Qin, S.; Yuan, W. Z.; Li, H*. ; Zhang, Y*. “Order–Order Phase Transition and Transformation in Co-assembled Particles from Fluorinated FA/FB Type Diblock Copolymers” Soft Matter 2012, 8, 8405. 6. Li, L*. ; Su, L.; Zhang, Y*. “Enhanced Performance of Supercritical CO2 Treated Nafion 212 Membranes for Direct Methanol Fuel Cells” Int. J. Hydrogen Energy 2012, 37, 4439. 5. Cai, Z.; Liu, Y.; Liu, S.; Li, L*. ; Zhang, Y*. “High Performance of Lithium-Ion Polymer Battery Based on Non-aqueous Lithiated Perfluorinated Sulfonic Ion-Exchange Membranes” Energ. Environ. Sci. 2012, 5, 5690. 4. Li, L*. ; Shang, F.; Wang, L.; Pei, S.; Zhang, Y*. “Transport Properties of PFSA Membranes with Various Ion Exchange Capacities for Direct Methanol Fuel Cell Application” Energ. Environ. Sci. 2010, 3, 114. 3. Su, L.; Li, L.; Li, H.; Zhang, Y*. ; Yu, W*. ; Zhou, C. “Perfluorosulfonic Acid Membranes Treated by Supercritical Carbon Dioxide Method for Direct Methanol Fuel Cell Application” J. Membrane Sci. 2009, 335, 118. 2. Su, L.; Li, L.; Li, H.; Tang, J.; Zhang, Y*. ; Yu, W*. ; Zhou, C. “Preparation of Polysiloxane Modified Perfluorosulfonic Acid Composite Membranes Assisted by Supercritical Carbon Dioxide for Direct Methanol Fuel Cell" J. Power Sources 2009, 194, 220. 1. Su, L.; Pei, S.; Li, L.; Li, H.; Zhang, Y*. ; Yu, W*. ; Zhou, C. “Preparation of Polysiloxane/Perfluorosulfonic Acid Nanocomposite Membranes in Supercritical Carbon Dioxide System for Direct Methanol Fuel Cell” Int. J. Hydrogen Energy 2009, 34, 6892.